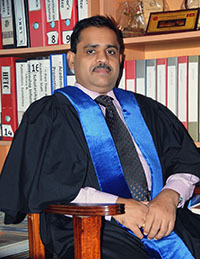 The Faculty of Arts in the University of Peradeniya is the center of excellence for generating and disseminating knowledge in humanities and social sciences, and producing creative work. We have marked our existence by engaging in world class scholarship and producing best graduates since the inception of the Faculty. We are committed to nothing but the best of the quality and have dedicated ourselves towards giving best value to the tax payers’ money to the nation. As the largest and the most diverse Faculty in the University system in Sri Lanka, we are fully prepared to provide all required assistance and facilities to provide a good learning environment for all students according to available resources. I believe students who have chosen the Faculty of Arts in the University of Peradeniya have made the right decision for achieving their goals. The Faculty of Arts has made all necessary arrangements to provide accommodation to most of the students. We have also taken measures to ensure security and welfare of all students. The administration and the staff of the Faculty are well organized and prepared for these. We have also made required arrangements for student welfare and counseling within the Faculty. Sixteen Departments of Study in this Faculty provide higher education, student guidance and advising on par with international standards. All Departments are equipped with highly qualified and committed academic staff. We also have an efficient and committed non-academic staff to support the learning process. The Faculty’s mission is focused on three key areas: producing the best public servants/personal for the world of work, producing the best scholars for generating new knowledge, and producing creative work. Through these efforts, we are committed to significantly contributing to national development. The graduates we produce will contribute innovatively and creatively to the national development process. We are committed to producing a total citizen who is fully prepared to confront the challenges of the changing world of work, and who can make innovative contributions to the progress of humanity.